Tallahassee’s Democratic Mayor and gubernatorial candidate Andrew Gillum is taking on current Florida Governor Rick Scott over what he believes is a lack of effort Scott regarding the embattled Children’s Health Insurance Program (CHIP). The program is on course of losing federal funding this month. 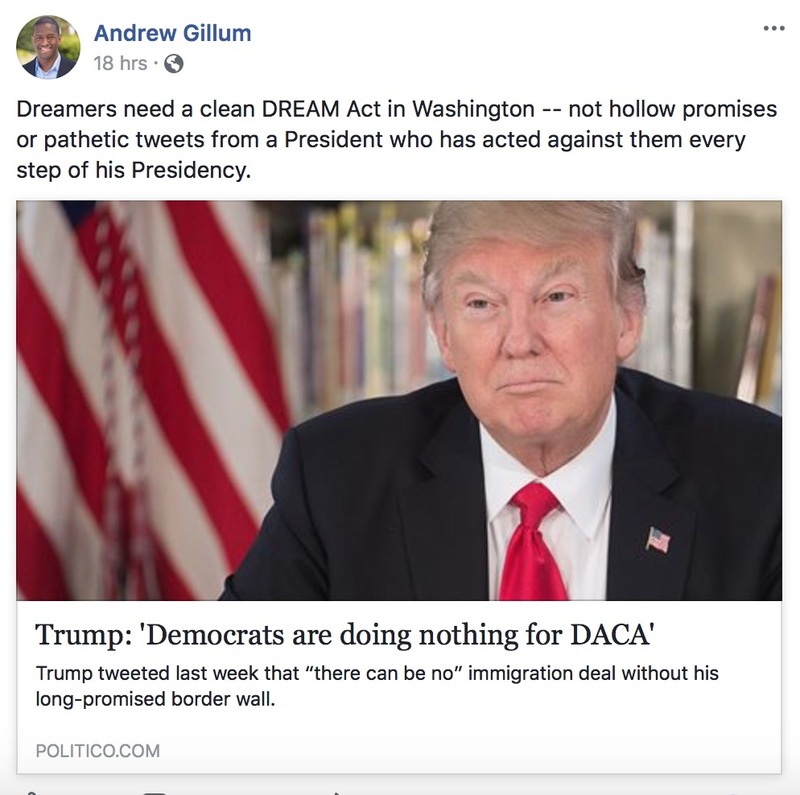 Gillum claims that Scott has “done far too little” to help the program’s survival, but in reality, Gov Scott has included CHIP funding in his upcoming budget proposal, but that doesn’t appear to be enough for some Democrats like Gillum. During a press conference in Jacksonville, Scott addressed the insurance issue, saying that his state agency has been in communication with the federal government about “extending” CHIP funding. The U.S. Congress has already approved a temporary funding measure that keeps the cash flowing through March, but many lawmakers believe that the temporary and partial funding fix needs to be bolstered and made permanent for the 200,000 low-income Florida kids being affected retain their health coverage. Gillum is locked in what will soon could be a contentious Democratic gubernatorial primary race with former Rep. Gwen Graham and Miami Beach Mayor Phillip Levine. On the Republican side of the primary ballot is Agriculture Commissioner Adam Putnam. Putnam is expected to face strong challenges from Rep. Ron DeSantis and Florida House Speaker Richard Corcoran, who are both expected to announce their gubernatorial campaigns in the coming months. Remember, politics is a fluid business, and anything can happen.